"Legalmaster has, by far, the best support services I have ever encountered for any software, not just accounting software. Your staff has always promptly addressed my issues." "The best billing program I've ever used. Support is amazing!" We designed Legalmaster for the firm that wants to combine powerful management tools with simplicity of use. Legalmaster lets you integrate your "back office" financial record-keeping requirements with your "front office" case management needs. Legalmaster is "modular," letting you automate whatever parts of your firm you wish, and add others as you see the need. The financial side of Legalmaster lets you produce bills that satisfy the requirements of your most demanding clients and simultaneously gives you access to the information you need to let you truly manage the business side of your practice. You may determine the productivity of any aspect of your firm using the same information that Legalmaster needs just to print your bills. The full integration of front and back office functions lets you, for example, search for conflicts through the descriptions of every time entry you've ever entered. The case management screens allow you to display vital matter information that the back office billing people have already supplied. The most time-consuming task in a billing system is not, as most people think, the entry of financial transactions. Rather, it's the correcting of entry errors and modification of transactions prior to billing. We have devoted and continue to devote lots of resource to make this aspect of your job as painless and efficient as possible. Our split billing features run circles around everyone else's in the business. If you work on matters whose bills are to be shared among many clients, you should give us a serious look. Rather than use a third party product, we developed our own report writer. 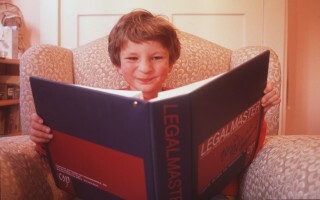 As a result it's tailored specifically for the Legalmaster data structure. We offer many ways for your attorneys and other timekeepers to enter their own time, including the ability to see a visual graphic representation of how you spent your day, making it easy to catch omissions. While we have many imitators, we were the first to release feature after feature, and we continue to add new time saving enhancements. Over half our revenues are devoted to research and development. We support all of our versions, regardless of their age. We do not force you to upgrade. This has been our policy since 1977. Legalmaster has been praised by such independent reviewers as Price Waterhouse, who called Legalmaster the "most sophisticated" of the products they reviewed. An unsolicited review published in the Monitor referred to our support as "unmatched," a sentiment echoed by our clients over and over. Nevertheless, we feel that the best judgments come from our actual users. We have been manufacturing software for law offices since the mid 1970's. According to The National Law Journal, we are the oldest company in this business in the US.